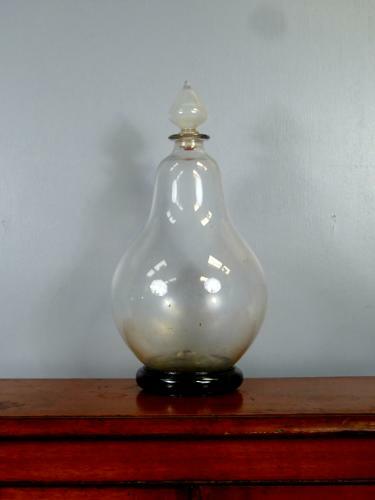 A beautiful large antique glass chemist's advertising carboy. A large chemist's carboy which would have been filled with colourful liquid & graced a chemist window as part of an eye catching advertising display, hand blown, retaining its original stopper & ebonized wooden stand. Wear commensurate with age, one chip to the upper rim which can be faced out of sight, priced accordingly.